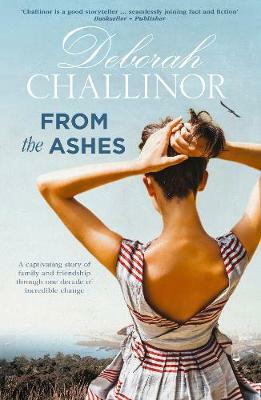 A new trilogy following the fortunes of the women of three families through the rapidly changing social and cultural landscape of the fifties and sixties Allie Manaia must navigate society's disapproval of her mixed-race marriage to Sonny, while at the same time attempting to cop... read full description below. A new trilogy following the fortunes of the women of three families through the rapidly changing social and cultural landscape of the fifties and sixties Allie Manaia must navigate society's disapproval of her mixed-race marriage to Sonny, while at the same time attempting to cope with the death of their baby, and undiagnosed PTSD - a result of being caught in the Dunbar & Jones department store fire two years earlier. Allie's grief, and her distress at failing to conceive again, are compounded when those near her seem to have no trouble falling pregnant - even when they shouldn't. And then there's Sonny's wayward sister, Polly, who, it appears, is not above selling her own child... After being advised to quit her job atSmith & Caughey's department store for her health, Allie's offered the job of marketing the quality knitwear of a Maori women's co-operative. But who will buy it, racism being what it is in 1950s New Zealand? And is her wealthy friend Kathleen Lawson really trying to come between her and Sonny, or is Allie just imagining that?